0.1 What are Kindle Covers? 0.2 Why Do I Need To Get One for my Kindle Fire? 1.1 What Should I Consider When Buying a cover for my Fire HD 8.9? First up is the Amazon Kindle Standing Leather case in black onyx, which fits only the Amazon Kindle 8.9” device. It is a highly recommended option according to plenty of satisfied reviewers. It is specifically designed for the Kindle Fire 8.9” with the intention of being the thinnest and lightest protective case available today for that model. It is made of natural premium leather that resists fading and scratches. 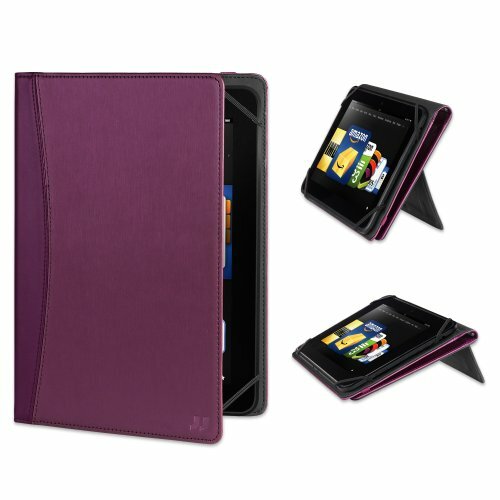 If you’re a lover of the color purple, not the movie but the actual color itself, the Belkin Classic Strap Cover with stand in purple is definitely the #1 choice of all of the Kindle Fire 8.9 Covers for you. It is a classic strap cover with a built-in stand. It received closed to 50 five stars reviews for good reasons.This cover measures 11.4” x 4.8” x 8.1” and weighs 14.4 ounces. Next up is the Vibe by Marware, a bright red, standing case. It is has the certified “Made for Kindle”badge , and allows access to charging and HDMI ports while your Kindle is inside the case. The inside of the case lid has a non-slip pad, letting the case to sit up for nearly all-viewing angles. This case includes an automatic wake/sleep lid for turning the device on or off automatically and it weighs a scant 9.6 ounces. Reviews are excellent for this pretty red case and it actually ranks #7 in popularity among all Kindle Fire 8.9 Covers. Other than this, there are Black, Orange, Blue, and Purple available. Number four on our list is the purple Verso Profile Standing Cover. This cover is “Made for Kindle” certified as well, and performs the sleep and wake operations. It also has a multi-stand for both hands-free viewing and typing positions. It has patent pending elastic on the corners for a snug fit that doesn’t interfere with the charging and HDMI ports. This is newly introduced and the price, at under $30, makes it quite affordable. Last but not least is the OtterBox Defender Series case. It includes built-in screen protection, is “Made for Kindle” certified, and offers three layers of protection for keeping your Kindle. Its shield stand is effective for protecting your device when it isn’t in use plus it offers three separate angles for typing, portrait and viewing. The form-fitting design gives you access to all of your ports and buttons without blocking the speakers. This case has earned a whopping 650+ 4.5-star positive review since it was introduced, a great testament to its popularity. 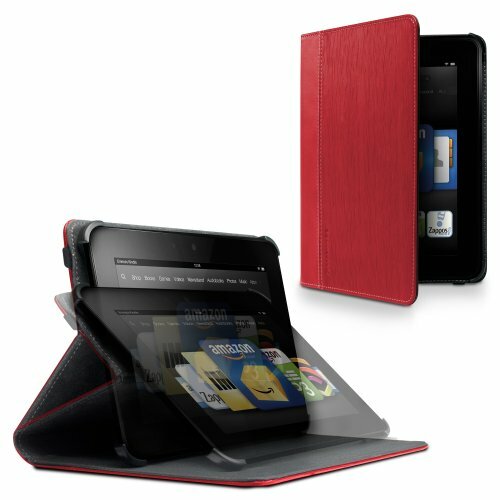 What Should I Consider When Buying a cover for my Fire HD 8.9? Fashion consciousness may be your top concern when buying Kindle Fire HD 8.9 Covers and, if so, the choices are limitless. Whether you like genuine leather or fabric, you’ll enjoy shopping for your device cover and its fashion statement. The outward appearance of your cover also affects how it feels in your hands. There are other considerations, however, and the first should be buying genuine Kindle Fire 8.9 Covers instead of a cheap imitation. We’ve listed five Kindle Fire 8.9 Covers that have been highly recommended in customer reviews on Amazon.com. There’s no better recommendation than that of a satisfied customer for the product you are planning on purchasing. Make sure that you purchase the correct device model cover for your own particular Kindle, too. One size does not fit all, so shop smart and be sure get the right one for your Kindle model.